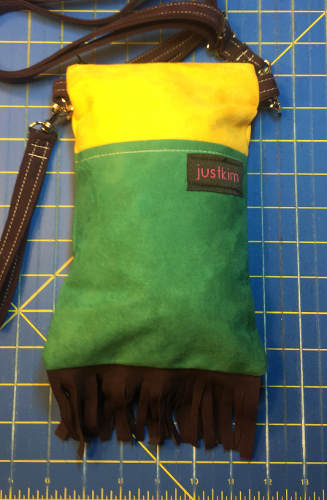 This flat bag measures 9″ x 6″. 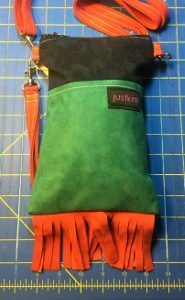 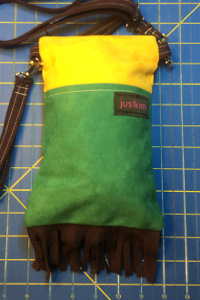 It is the perfect sized bag for just your phone, keys, and a couple of bucks for that quick jaunt about the neighborhood, or to take with you while walking the dog! 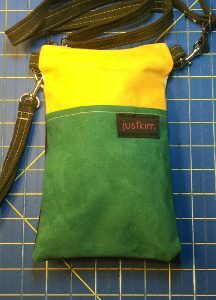 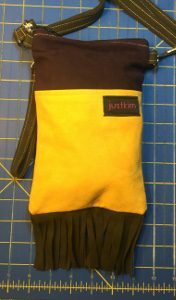 It includes a long, adjustable strap that can lengthened to be worn cross-body or on the shoulder. 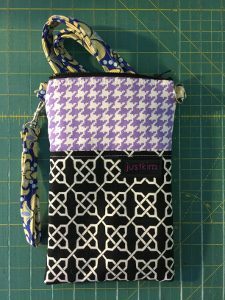 It can also be worn on the wrist, or the wristlet strap can be used as a keychain.